Letter tidies cover letter plates and aid maintaining your home warm during the winter by cutting down on draughts. We stock a wide selection of both letter tidies and letter plates that vary in design, finishes and style. We also supply door locks for entrance doors, including mortice deadlocks, which has a bolt and a key hole and mortice sash locks, which are similar to deadlocks, however, this type of lock also has a latch that will keep the door closed even when the frame is unlocked. Additionally, we also stock rim and mortice night latches for entrance doors, that are open with a key from the outside and a lever on the inside. For a variety of interior doors, as well as shed doors and low maintenance doors, mortice bolts are ideal. For added security of your entrance door, we sell a variety of easy to install door chains, that help preventing unwanted individuals from gaining access to your home. With our selection of door viewers also known as peepholes, which allows the person inside the building to view the outside of the door without having to open the door and avoiding being seen. 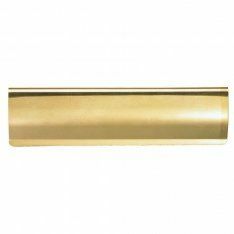 To help opening the door we stock cylinder pulls and centre door knobs in a variety of styles, sizes and finishes, including polished chrome, florentine bronze, black nickel, satin stainless steel, among various other finishes. To know that someone is at your door, we sell bell pushes and a wide selection of door knockers, including the traditional lion head knocker which has been used as a symbol of Great Britain for years. Finally, within our range of entrance door ironmongery we have available numerals and letters, made from stainless steel, polished chrome, polished brass, satin chrome, among various other finishes.